With their first Central Division title since 2009 and the best record in the National League, the St. Louis Cardinals have home field advantage in the best-of-five 2013 National League Division Series that starts Thursday in St. Louis against familiar rivals, the Pittsburgh Pirates. The Cardinals are making their 10th appearance in the postseason since 2000 and the 26th postseason appearance in franchise history. A number of tickets for the Division Series games at Busch Stadium are available at cardinals.com/postseason. Here are details on how fans can enjoy postseason baseball in St. Louis. Former Cardinal pitcher Andy Benes will sign autographs from 2 -3 p.m. Pre-Game Ceremony starts at approximately 3:30 p.m.
A former Cardinal player will sign autographs from 10:30 – 11:30 a.m. Pre-Game Ceremony starts at approximately 11:45 a.m. Fans can watch the National League Division Series games on TBS. Friday’s game will be televised exclusively on MLB Network (MLBN). If fans aren’t sure if they have MLB Network, they can find their local channel listings at FindMLBNetwork.com. Fans can tune into KMOX (1120 AM) and the Cardinals Radio Network to hear Mike Shannon & John Rooney call the games, or listen to the national broadcast on ESPN Radio (101.1 FM) or XM Radio. Fans participating in the postseason action on social media can follow the Cardinals at Facebook.com/Cardinals, on Twitter (@Cardinals), on Instagram (@Cardinals) and Tumblr (stlcardinals.tumblr.com). Join the social conversation using #PostCards. New this postseason, fans can share their good luck wishes to the Cardinals by sending a virtual Postcard to the team at cardinals.com/postcards. Fans can download a postcard template online, personalize the message and share on social media using #Postcards. Fans can follow the games for free on cardinals.com using the Gameday program. 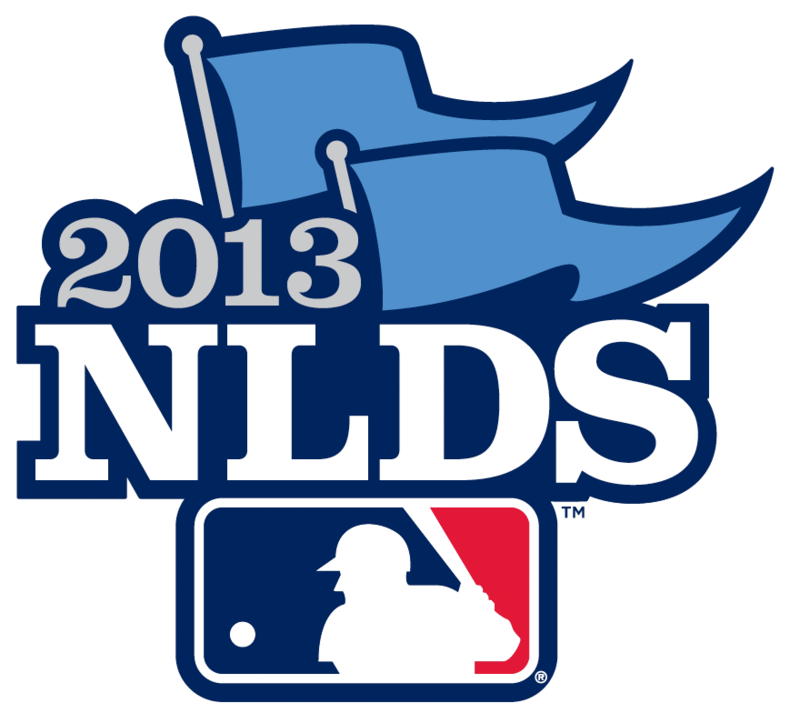 In addition, fans can subscribe to Postseason.TV to watch live alternate angle online companion coverage of the 2013 Wild Card games, Division Series and NL Championship Series. For just $4.99, fans receive Enhanced companion coverage with complete audio broadcast (full video broadcast feed excluded), and can watch up to 4 alternate angles at once, choose from up to 10 different fixed camera angles, tune in for live batting practice, use the pitch by pitch widget, and view streaming tweets via Twitter. The service is available to U.S. & Canada residents only on the computer and supported iOS and Android devices. Visit Postseason.TV for all of the details. MLB’s mobile app, At Bat 1, will provide mobile access to Postseason.TV on iPhone, iPad and iPod touch as well as supported Android phones and tablets. At Bat is available for purchase during the Postseason at $3.99/one-time or $2.99/mo. MoDOT has limited roadwork when the Cardinals are at home during the National League Division Playoffs. Currently, fans can expect no significant traffic impacts due to construction on Missouri interstates heading into Busch Stadium or heading home on Thursday, October 3rd and Friday, October 4th. Drivers may also use the new ramp from eastbound I-70 to Tucker Boulevard to get to the games, avoiding much of the downtown interstate traffic. Fans can take Tucker to Market Street to get to parking for the game. MetroLink is a convenient alternative to driving, allowing fans to avoid the cost of parking and game day traffic. To avoid the traffic congestion and the cost of parking on game day, fans can use one of 19 free Park-Ride lots along the MetroLink line and take the train to Stadium Station, right across the street from the ballpark. Check the Metro website www.MetroSt.Louis.org for schedules and the Park-Ride lot nearest you. There are also plenty of buses in Missouri and Illinois that will get fans to Busch Stadium including the RedBird Express that departs from the Water Tower at St. Clair Square in Fairview Heights, Illinois. The first RedBird Express leaves 2 ½ hours before the game and runs approximately every 5 minutes. The St. Louis Cardinals are encouraging local businesses, schools and other organizations to help kids in our community while supporting the team by participating in Cardinals RED for Kids (#RED4kids). RED stands for Rally Everyone Day. Piloted during the 2011 postseason, Cardinals RED for Kids is the team’s version of an office “dress down” day in which participating organizations make a donation to Cardinals Care in exchange for the opportunity to sport their Cardinals clothes at work or school. To participate, fans should go to cardinals.com/red and register their organization. While the Cardinals would like businesses to help raise money while showing their team spirit, schools are not required to make a donation to get involved. Participating schools, businesses and organizations are also encouraged to submit photos via the team’s website and social media showing their Rally Everyone Day (#RED4kids) spirit. Busch Stadium Team Store: The Team Store will be open seven days a week from 10 a.m. – 6 p.m. On game days, the store will open at 9 a.m. (8 a.m. on Friday, October 4) briefly closing 30 minutes prior to gates opening for 30 minutes. In addition to standard merchandise, the store will also carry exclusive postseason and Central Division Champions merchandise including hats, t-shirts, pennants, pins and more. The official locker room t-shirt is in stock and also available in ladies and youth sizes as well as fleece. Fans can also buy official t-shirts and hoodies, just like the players wear. Cardinals Authentics: Fans will want to stop by the Cardinals Authentics store in Ford Plaza, the only place to get official, game-used, limited edition and autographed Cardinals memorabilia directly from the team. Featured items include game –used equipment from the 2013 season, 2011 World Championship themed items and more. Cardinals Authentics has a variety of items to fit every budget. Cardinals Magazine & Cardinals Yearbook: Cardinals fans can purchase two new keepsake items at Busch Stadium to celebrate the club’s successful pursuit of the N.L. Central title. The cover story in the new edition of Cardinals Magazine focuses on the new ‘MV3” of Matt Carpenter, Allen Craig and Yadier Molina, who pushed themselves into the NL MVP discussion with outstanding campaigns. Learn more about pitcher Joe Kelly, whose second-half emergence in the starting role helped the rotation at a critical juncture. The Magazine also reviews the top 10 trends, people and events that factored into the Redbirds’ postseason berth. Fans can also purchase the popular 2013 Official Yearbook, which offers the definitive celebration of Stan Musial’s Hall of Fame career. The magazine is $5; the yearbook is $15. Both publications are on sale at all gates and the official Busch Stadium Team Store, and can also be purchased by calling 314.345.9303 or visiting cardinals.com/publications. Delaware North Companies Sportservice, the St. Louis Cardinals’ concessionaire for more than 50 years, is preparing to welcome fans back to the stadium with a starting lineup of postseason food to please every fan’s unique taste. In addition to the new menu items listed below, a new souvenir beer and soda cup is available. As the weather turns colder, Sportservice will also offer a variety of gourmet hot chocolate and apple cider recipe cocktails. All American Grilled Cheese (Section 141): An American Classic. White American and Swiss cheeses melted on giant butter-toasted sourdough loaf. Grilled Cheese Supreme (Redbird Club): Cheezy Heaven! Melted White Cheddar, Monterey Jack, White American, and Swiss cheeses topped with Heirloom tomatoes and Pecan Wood Smoked bacon all on a giant butter-toasted sourdough loaf. Pecan Bacon Dog (Section 599): An all-beef Hunter hot dog wrapped with 2 pieces of sweet, thick-cut Pecan Wood Smoked Bacon on a fresh-baked hoagie roll, topped with jalapeno black bean & corn salsa and tangy Tequila BBQ sauce. Pepper Bacon Dog (Section 599): An all-beef Hunter hot dog wrapped with 2 pieces of fiery, thick-cut Pepper Bacon on a fresh-baked hoagie roll, topped with jalapeno black bean & corn salsa and tangy Tequila BBQ sauce. Double Dog Dare Ya (Section 599): Heaven on a Bun! Combine the sweet Pecan Bacon Dog with our fiery Pepper Bacon Dog all on the same hoagie roll! It comes with a double dose of jalapeno black bean & corn salsa and as much Tequila BBQ sauce as fans want. The Cardinals led the National League with 97 wins, the first time since 2005 when they led the Majors with 100 wins. Their 97-65 record also tied the American League Boston Red Sox for the winningest in MLB. The Cardinals set franchise records with 75 errors, the fewest in team history and a .988 fielding percentage. The Cardinals had a Major League‐leading 36 combined wins from rookie pitchers this season, their most since 1941 when they received the franchise record of 42 led by Ernie White (17‐7) and Howie Krist (10‐0). The team has used 20 rookies this season ‐ the most since employing 21 in 1970. Matt Carpenter set the Cardinals single‐season doubles record for a left‐handed batter with his 54th at Milwaukee (9/21), breaking Stan Musial’s mark of 53 in 1953. Carpenter also finished the season one hit shy of 200. The last Cardinal to collect 200 or more hits in a season was Albert Pujols in 2003 when he had an NL‐best 212 hits. Mike Matheny became the first in St. Louis Cardinals history to make the postseason in each of his first two years as a manager. The Cardinals finished the season with 3,369,769 fans, averaging 41,602 per game, ranking second in the majors behind the Los Angeles Dodgers, and earning their fifth highest attendance in franchise history. It was also the 17th time in franchise history the Cardinals eclipsed 3 million fans and the 10th straight season. Ten of baseball’s iconic voices – including the Cardinals’ own Mike Shannon – have been named as the finalists for the 2014 Ford C. Frick Award, presented annually for excellence in baseball broadcasting by the National Baseball Hall of Fame and Museum. The annual award is named in memory of Hall of Famer Ford C. Frick, renowned sportswriter, radio broadcaster, National League president and Baseball commissioner. The winner of the 2014 Frick Award will be announced on December 11 at the Baseball Winter Meetings and will be honored during the July 26 Awards Presentation as part of Hall of Fame Weekend 2014 in Cooperstown. Fans will be permitted to bring small personal cameras as long as they do not obstruct other guest’s view and will be subject to inspection. No professional-sized photography equipment will be allowed except for members of the media with proper MLB Postseason credentials. A new exit/re-entry policy, instituted during the 2013 regular season, is in effect. Guests wishing to leave the stadium, but planning to return during the same game must have their hand stamped at Gates 1, 2 or 4 as they exit the stadium. Guests will also receive a re-entry card which they must show with their stamped ticket and stamped hand upon re-entry. Inspection policy will also be enforced. Standard Busch Stadium Smoking Policy is in effect. Busch Stadium is a smoke-free facility. Exit/Re-Entry turnstiles will be set up at Gates 1, 2 and 4 to allow fans access in and out of the stadium if they wish to smoke. Fans will get their hand stamped as they exit the stadium. Guests must show ticket upon re-entry. Inspection policy will also be enforced. This entry was posted in 2013 Season and tagged Busch Stadium, NLDS, Postseason 2013, press releases, St. Louis Cardinals by Christine Coleman. Bookmark the permalink.